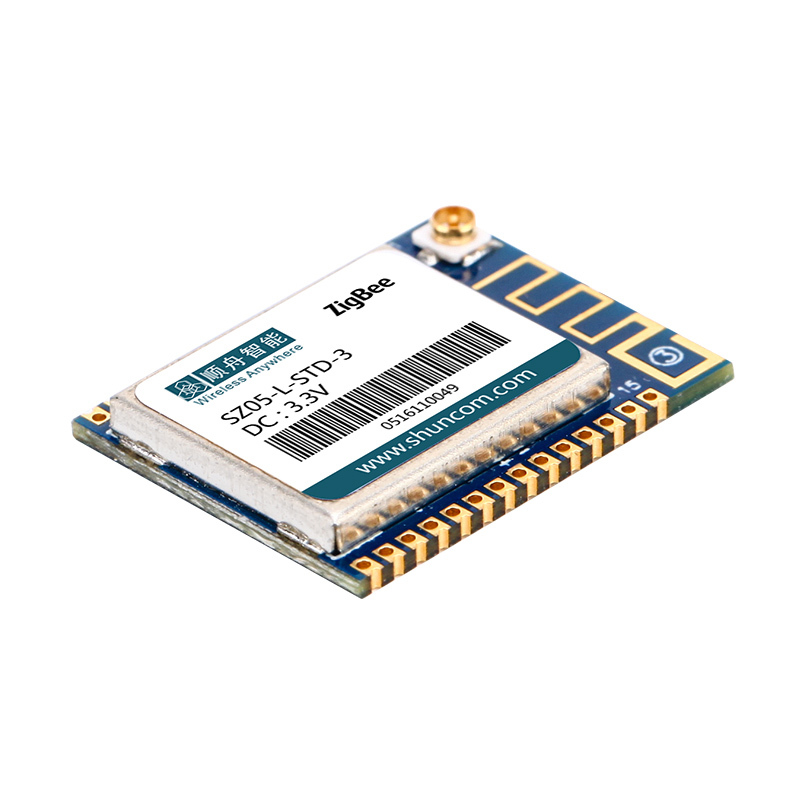 The SZ05-L-STD-3 wireless data transmission module adopts TI's chip and conforms to the Zigbee pro international standard RF transceiver and microprocessor. It has long communication distance, ultra-low power consumption, strong anti-interference ability and flexible networking. Advantages and features; practical MESH networking. The SZ05-L-STD-3 data transmission module implements transparent transmission of TTL serial data. The SZ05-L-STD-3 data transmission module acts as a terminal node to transmit and receive data only. The SZ05-L-STD-3 devices are part of the CC26XX family of cost-effective ultra-low power 2.4GHz RF devices with very low active RF and MCU currents and low power mode current consumption. Therefore, Shunzhou Intelligent SZ05-L-STD-3 ultra-low power module fully meets the requirements of the Internet of Things for low power consumption, and is very suitable for battery-powered, small-sized smart home, RFID, network sensor, security and access control. And wireless connectivity products such as remote control. 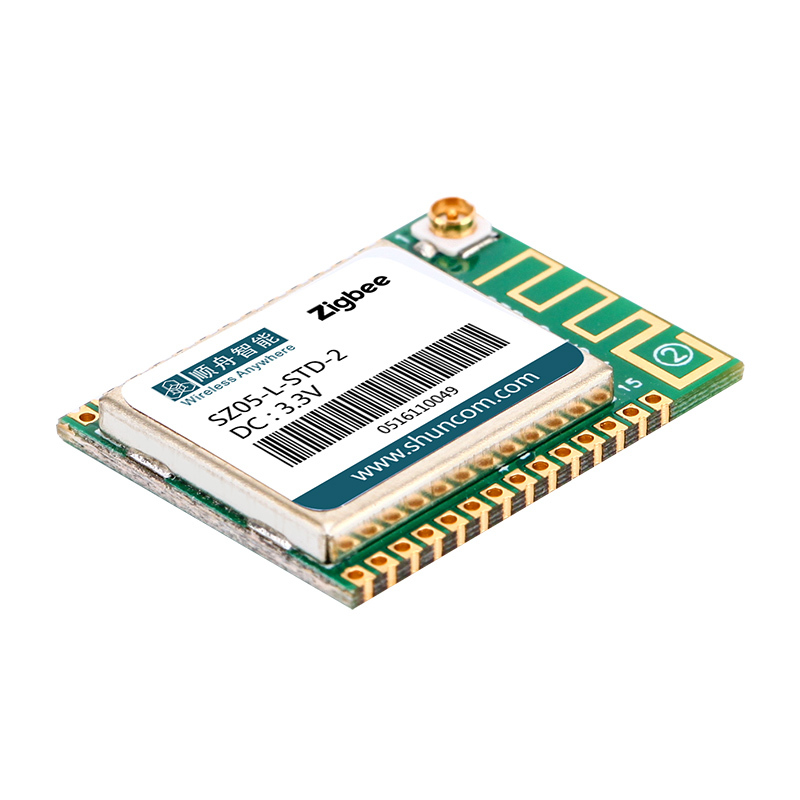 For example: Model SZ05-L-STD-3-TTL-PCB, which means SZ05-L series wireless data transmission module, open space transmission distance is 100 meters, TTL interface, built-in PCB antenna. 12 IO ports can be expanded to support switch acquisition, high and low point flat output, analog acquisition, PWM, DS18B20 temperature acquisition, dht21 temperature and humidity acquisition, etc. This product is too small in size and has no connector pins. It is recommended that customers purchase a special SZ05-L connector backplane.